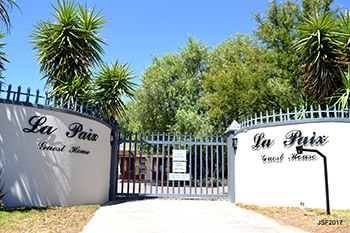 La Paix (means peace in French) offers elegant Beaufort West accommodation situated in a quiet suburb. 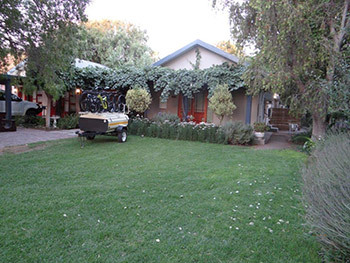 The guesthouse was started by Maxie Kritzinger about 13 years ago. La Paix is also the name of a farm in the district which belonged to Maxi’s parents. Rooms are named after camps on the farm. A lot of the furnishings are “farm style”. We bought the guest house in August 2016 and have done various improvements including Nightsbridge booking system, rooms all have their own private entrances, all rooms have their own en-suite bathrooms, some with showers only and others with baths and showers. All rooms have DSTV and flat screen television sets. Our location is easy to find and conveniently situated. La Paix presently has 10 units, some self catering. All units have DSTV, air conditioning, bar fridge, kettle (coffee/tea complimentary), electric blankets. We have a beautiful garden which hosts a large variety of bird species. Parking for cars and motorcycles is for free and secure. 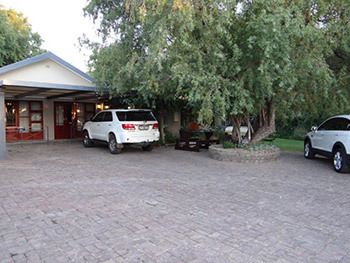 North of the Guest House are views of the Nuweveld Mountains. West of the town we have the beautiful Karoo National Park. The town of Beaufort West has a municipal and private museum. The famous heart surgeon Dr Christiaan Barnard was born and raised in this town.Some of the equipment used to perform the first heart transplant are on display in the museum. We offer scrumptuos breakfasts and dinners. Breakfast and lunch packs can be arranged. We dont have a liquor license, you are welcome to bring your own. 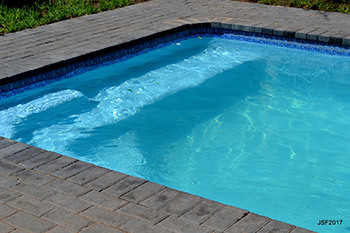 There are braai (barbeque) facilities for guests . We cater and host small weddings and private functions. 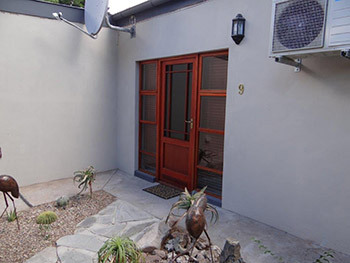 Pets are welcome but have to be under full controll of the owner and “house trained” (R100/pet). Booking for accommodation and meals is essential. Pensioner discount – less 10 % (pensioner card required). Enquire about special deals on bulk bookings, like multiple unit bookings, motorcycle groups, re-unions, long term stays, etc.